Back in January, Apple CEO Tim Cook met with Xi Guohua, Cook's counterpart with China Mobile. After the meeting with the top executive of the world's largest carrier, Cook made his now famous forecast that China would become Apple's largest market in the near future. But for that to happen, Apple will need to get its iconic smartphone and its tablets added to the China Mobile roster, something that has yet to have been accomplished. Now, almost 7 months have gone by and Cook made a return trip to Beijing on Tuesday to visit Xi Guohua and China Mobile. Insiders working for the mobile operator told Reuters that the two CEO's met to discuss "matters of cooperation" which could mean that China Mobile will soon be carrying Apple devices. Apple's second quarter sales in the country dropped by a whopping 43%, which includes sales in Taiwan and Hong Kong. Apple's once huge technological advantage over local manufacturers has disappeared. Chinese OEM's like Huawei and ZTE have produced handsets that can compete with the iPhone in China. Another major problem for Apple in China is the country's lack of 3G adoption as users turn away from native SMS apps on handsets to apps like WeChat, which has 300 million users in China. Less than 20% of China Mobile's subscribers use a 3G network compared with 38% for China Telecom and 50% for China Unicom. While China Unicom and China Telecom both use international 3G standards, China Mobile uses its proprietary TD-SCDMA 3G pipeline which makes it harder for Apple to offer an out of the box solution for the carrier. Cook also met earlier in the week with China Telecom President Yang Jie and talked about future products although he stopped short when talk turned to the next iteration of the iPhone. For its just reported fiscal Q3, Apple's sales in Greater China made up 13% of its total revenue ($5 billion), down from 19% in the prior quarter. Samsung is the most profitible, most selling manufacturer know. And apple is going to need something worth switching if they are to continue their lead in electronics, because they are falling way back. 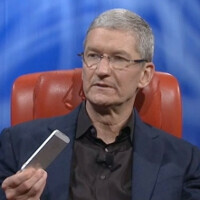 I wonder what iPhone 5S will feature or improve? Hmmmmm. Probably Retina display 2.0 Siri will become Gay. Or camera that will have 9 Megapixels. and the crap Dual Core CPU. Lol Then same design like in the iPhone 5. And iFans will call it innovations. Woah, i think S3 can beat that iPhone 5S just basing on the leaks of it (d iphone 5s). Or go on, Sue Samsung Apple, and millions of people still continue to love and support samsung as pay for your non-sense allegation to Sammy. I look forward to watching Apple battle for China. Apple is getting competition from Huawei and ZTE and obviously Samsung. Walled garden is showing cracks, won't be long before they realize they can't keep dictating to the world but will instead have to cater to the world's needs on different terms.